Transforming a neglected industrial property into a vibrant workplace was the vision for this midtown Sacramento building. Behind the new steel and glass block entry, previously an overhead door, a wood paneled reception area greets the visitor. 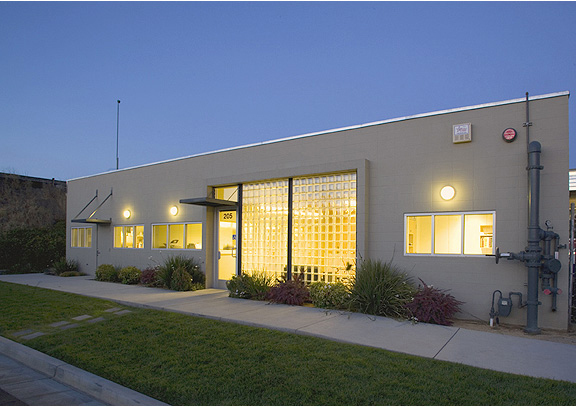 The space features an open interior, glass-transomed office doors, and industrial lighting.